Electronic cigarettes were created as an awesomely smart solution for smokers who wanted to quit their bad habit, but had found that other solutions – from nicotine gums to… acupuncture – didn’t quite cut it for them. At first, the people who “smoked electronic cigarettes” where a miniscule minority. But that was just the beginning. Year by year more people, determined to quit smoking, turned to electronic cigarettes. And more. And more. People realized the term “smoking” wasn’t correct: electronic cigarettes didn’t produce “smoke”, since nothing was “burned”. They produced “vapor”. So, “vaping” it was. 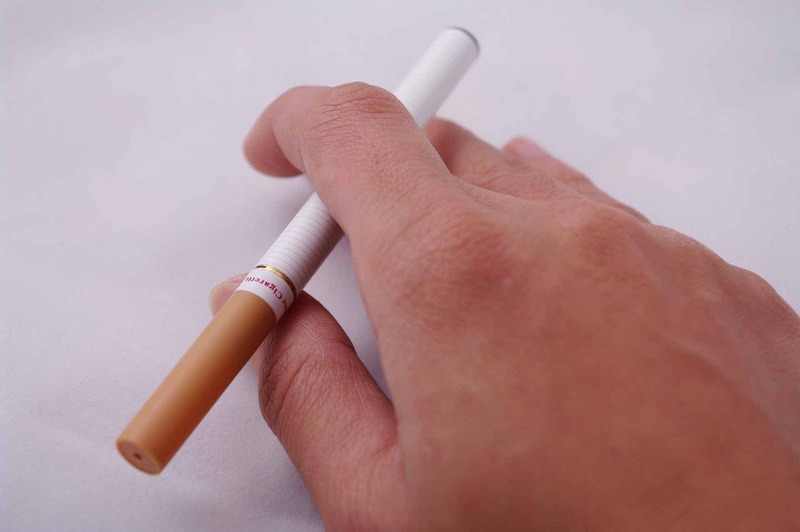 People realized they could tweak their electronic cigarettes for better performance, or create their own similar devices with more power, more features. So, “mods” (from “modifications”) it was. People realized the term “electronic cigarette” didn’t cut it anymore – it wasn’t correct, since we weren’t talking about smoke but vapor, plus, their devices didn’t look like cigarettes anymore. So, “vaping gear” it was. People realized the term “ex smoker” didn’t apply to a specific set of those who didn’t just use electronic cig… er… “box mods” to quit smoking, since they’d already quit smoking but were still smo… ah… ehm… vaping, because they liked it. Because “they could blow cloudz in the face of nearby nuns” or “make the school bus as misty as Crystal Lake”. So, “cloud bros” it was. Nowadays, people that vape do it because they found a better alternative to smoking. Having control on the amount of nicotine in your juice helps immensely, and most manage to reach 3mg or even zero nicotine levels within months of starting. Strange thing, though, instead of giving up vaping as well after that, since, well, they don’t have a need for nicotine anymore, lots of them keep vaping. Those who never vaped think it’s because vaping is as addictive as cigarettes. Strange chemicals keep the vapers hooked in a hobby that will be soon proven to be worse than the worse drugs. Why else keep vaping? You just saw half of the truth in this video. Because of “the O’s”. And the clouds. And the whole feeling that instead of, say, gulping a candy bar, you can vape some chocolate-vanilla-almonds mix. Similar to Snickers – (almost) zero calories. The other half? Because vaping gear is gadget-y. And vapers love their gear. They constantly search for the next RTA or RDA that will give them even better flavor, even bigger clouds. The next mod with more Watts, Watts they’ll push through intricately crafted coils – that look more like priceless rings than twisted pieces of resistance wire with which liquid is vaporized. The next battery with more power, the next wicking material. The next… something. ’cause vaping isn’t just “a solution to quit smoking” anymore. Have you seen any Nicorette conventions? Any shops specializing in nicotine patches? Vaping, although an alternative to smoking, has also become a hobby for many-many people. And, to many, that’s why “it works”. Smoking isn’t only about the inhalation of smoke. It’s a whole ritual: opening the pack, taking out a cigarette, lighting it up… Even more so for people smoking rolled tobacco or pipes. And vaping, unlike nicotine patches and gums, also feels like a ritual: you can create your own coils and wicks, and even if you don’t, you have to unscrew your atomizer, fill it, re-screw it, tinker with your device settings… And, strangely, it works. As proof of that, the millions of vapers that keep growing in numbers and the explosion of the whole “vaping scene”, especially in the last two years. That is why vaping is here to stay. Even if those that “blow some O’s” make you smirk, even if you’re not a vaper or a smoker, you should realize that vaping is the only all-in-one solution combining a healthier alternative for nicotine consumption compared to cigarettes – as proven in dozens of medical studies, but also psychological support for the “nicotine addict” – from the rest of the vaping community, plus a new “ritual” that fills the void in an ex-smokers life. Because, in the end, for many of us it was not only the craving for our nicotine fix that made us light one more cigarette, again and again, after dozens of times of trying to quit. It was also the absence of the smoking “ritual”. And yeah, we have to admit that even if we do it in private, when hidden away from others, in our own homes, the fact that we can blow one or two cloudy “O’s” and marvel at the vapor-y jellyfish swimming towards our TV does help. A lot.